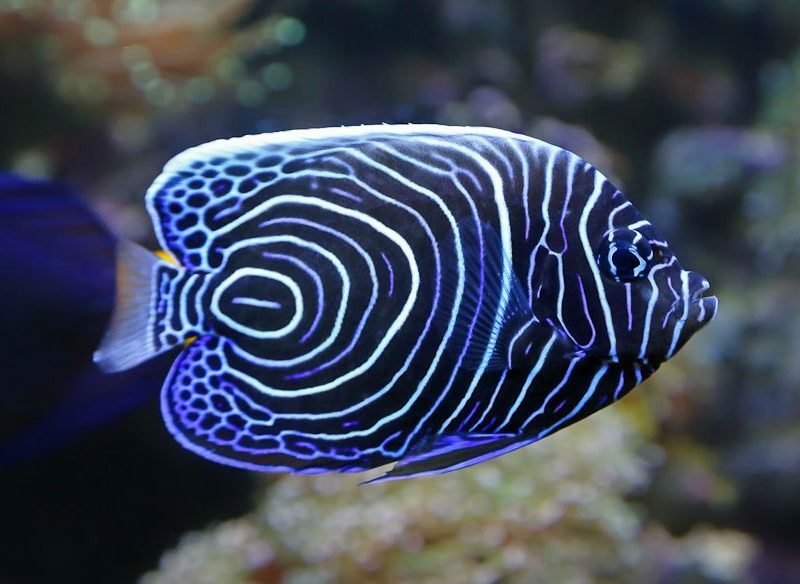 The dazzling patterning of a juvenile emperor angelfish. With some of the planet’s best scuba diving spots, the Great Barrier Reef is a natural playground in our own backyard waiting to be explored, and the best of it is found on and around its stunning coral cays at the likes of the stunning Lady Elliot Island. Five minutes into our pre-sunset snorkel in Lady Elliot Island’s shallow coral lagoon and the green sea turtles are already beyond counting – was that five or six flapping their way through the sandy channel ahead of us? It seems turtle traffic stands in for peak hour here, 80 kilometres out to sea on the Great Barrier Reef’s most southerly coral island. One especially massive turtle – a pregnant female, says resort operator Peter Gash – lingers almost vertically by some stony coral. “I reckon she’s going to have a crack at laying later tonight,” he says, before leading us past colourful clouds of reef fish to a trio of giant Queensland groupers. All this in 1.5 metres of water. “It’s like swimming in an aquarium,” says Gash. The world’s largest coral reef ecosystem, the Great Barrier Reef Marine Park skirts 2300 kilometres of Queensland coast between Cape York and Bundaberg. Its surface area could swallow 28 metropolitan Sydneys and the wealth of submarine life is unmatched anywhere. So how best to explore this dauntingly vast world of nature? A mantis shrimp protects its burrow with a set of powerful claws. Accommodation on the reef itself is your best bet. Surprisingly, only three of the region’s many resort islands – Lady Elliot and Heron islands in the Capricornia Cays and Green Island 27 kilometres off Cairns – are coral cays, part of the actual reef. And it’s the far-flung Capricornia pair – 80-90 kilometres offshore at the GBR’s south end – that arguably offer the deeper immersion into the natural rhythms of the reef wilderness. The southern GBR is a sea turtle nesting stronghold of global significance. The region is also home to almost two-thirds of all GBR fish species, three-quarters of the coral species and up to 80 per cent of Australia’s Pisonia grandis trees, shady broad-leafed shrubbery that evokes all the romance of tropical islands and attracts seabirds in their thousands. Lady Elliot Island – a 42-hectare resort 80 kilometres off Bundaberg and only accessible by air – has all this and more: its biggest drawcard are manta rays. They’re here year-round but numbers peak during winter; the Project Manta research program has identified 700 individuals. If mantas could talk they’d tell you Lady Elliot is no eco-resort – it’s a day spa, a must-do stop-off where cleaner wrasse and other fish wait at bommies (coral stack) to pluck parasites from their skin and gills. Exfoliation aside, plankton-rich waters make a superb blue-water buffet. Of the island’s 20 moored dive sites, Lighthouse Bommies near the historic (1873) lighthouse is the mantas’ favourite. Stepping off the dive boat kitted in scuba, we grab the anchor line and haul ourselves to the sandy bottom 16 metres below. Underwater visibility is exceptional and a first casual glance towards the closest bommie fills the eye with a literally awesome sight – the magnificent bulk of a manta, several metres wide, dark on top and white underneath. Sweeping slowly into the blue beyond, its sheer size is overwhelming. The rest of the dive is spent at the bommie while more mantas swoop by, as if by appointment. Two or three loom overhead, filter-feeding mouths agape; one low-flier is accompanied by a large cobia (black kingfish) beneath its wings. All those colourful tropical fish – even a passing whitetip shark – now have Buckley’s chance of seizing the limelight. Colourful Christmas tree worms – wave water at them and they’ll disappear in a flash. Afterwards, while waiting at the surface for the dive boat, the close approach of a green turtle – welcome as it is – seems more a nice afterthought than the thrilling highlight it would normally have been. You can also snorkel with mantas straight off the beach. First thing in the morning we’re back at the same spot, peering down from the surface at three mantas with wingspans wider than the bommie they gently orbit in serene splendour. Yesterday’s dive was a closer encounter, but snorkelling affords a better view of the unique white splodges on their backs that identify individuals. After lunch it’s time for another scuba plunge. Just outside the lagoon on the south side, the Blow Hole dive is named for a seafloor cave that leads to a deeper (23 metres) expanse of reef with a dazzling wall of endless coral. A huge humpheaded maori wrasse looks like a buffalo roaming a surreal, submarine pampas. Tiny orange ‘Nemo’ clownfish flit in and out of embracing anemones. It’s simply a wonderland bursting with life in all sizes, shapes and colours. Anemones form a spectacular backdrop. Lady Elliot’s northerly neighbour Heron Island – smaller but with a bigger, slightly flashier resort – is similarly awash with reef life, though it’s more turtle nursery than manta mecca. The sandy beaches attract laying females between November and March, and hatchlings scurry seaward nightly from January to early June. During this time the island’s lagoon fills with cruising reef sharks – blacktips and whitetips mostly – awaiting their evening hatchling snack. Only one in a thousand turtles survive to breed. After dinner at the resort’s Shearwater restaurant, a stroll along the moonlit shore reveals tyre-track flipper marks of those lucky ones. A dark boulder eerily inching its way up the beach turns out be a turtle making a beeline for the treeline. Breathing heavily, she flicks sand with her hind flippers to dig, enacting a ritual of life that was ancient when we were hunting mammoths. Don’t tire yourself out on the turtle trail every night, however, because Heron’s diving is literally world-renowned – Jacques Cousteau rated the island’s Heron Bommie among the world’s 10 best dives. The smile says it all – divers at Heron Island (photo: Stuart Ireland). A delightful morning scuba meander over many-hued corals confirms his good taste, taking in turtles, reef sharks, clownfish and a rippling curtain of yellowtail fusiliers along the way. But then a second, similarly magical dive at Coral Grotto suggests any of the 21 dive moorings around the island could hold their own on Cousteau’s list. Then there’s the pre-breakfast snorkel with the big rays that fill the boat harbour. Of several reliably regular species, the giant shovelnose ray is off-white in colour and rather shark-like, while the cowtail stingray has a more traditional ray look – a broad, black pancake with a trailing rope tail. Most snorkellers also fin their way to the nearby hulk of the Protector (1884), Australia’s first naval vessel. After serving in the Boxer Rebellion and both World Wars, the steel gunboat was brought to Heron as a breakwater in 1945. As elegantly wasted as Keith Richards, it now enjoys a rusty afterlife as a prime snorkel site and seabird roost. Noddies and boobies peep through portholes while submerged turtles keep watch below. Snorkelling off Heron’s beaches is best done two hours either side of high tide, when the lagoon carries enough depth for finning over the coral. Low tide is time to walk out over the reef flat for any number of exposed wonders – brilliant blue Linckia sea stars, crinkle-mouthed clams and various small fish, such as boldly spotted epaulette sharks, which have the surprising ability to survive for hours on land – even ‘walk’ to water – if stranded by the tide. Vibrant giant clams are always a treat to find. Like Lady Elliot, Heron Island is surrounded by a vast exploitation-free Green Zone to protect its volume and variety of reef life. Both glory in lush Pisonia forests that ring with birdsong day and night. Their remoteness means exceptional water clarity, free from the agricultural run-off affecting more coastal spots. Everything appears so pristine, but it wasn’t always like this. Heron was home to a turtle-soup factory before becoming the Reef’s first island resort in the 1930s! Lady Elliot spent an entire century as a wasteland, stripped of trees and topsoil by guano mining. Revegetation began with the first stab at tourism in 1969, but it’s only in the last decade, under the stewardship of Peter Gash, that Lady Elliot has emerged as one of the world’s greenest eco-resorts, with 80 per cent solar power, all fresh water from desalination and its own treatment plant for waste-water. Remote Fairfax Islands, in Capricornia Cays National Park. Gash’s mission is to leave Lady Elliot in a better state than he found it. 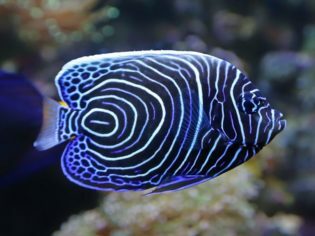 His success so far is hope that the GBR can be preserved. The rich intensity of life beneath its waters offers the profound truth that Gash wishes his guests to leave with, that “we don’t own nature – nature owns us”. Getting there: From Gladstone you can catch a ferry or seaplane to Heron Island. Seair Pacific flies to Lady Elliot via Bundaberg; Hervey Bay; Brisbane and the Gold Coast. Staying there: Heron and Lady Elliot are single-resort islands open year-round. Playing there: Both Heron and Lady Elliot islands offer diving, snorkelling, and guided walks. Heron Island offers tours of its scientific research station, and has a semi-submersible for non-divers. Lady Elliot has a glass-bottom boat, and don’t miss sunset at the lighthouse.